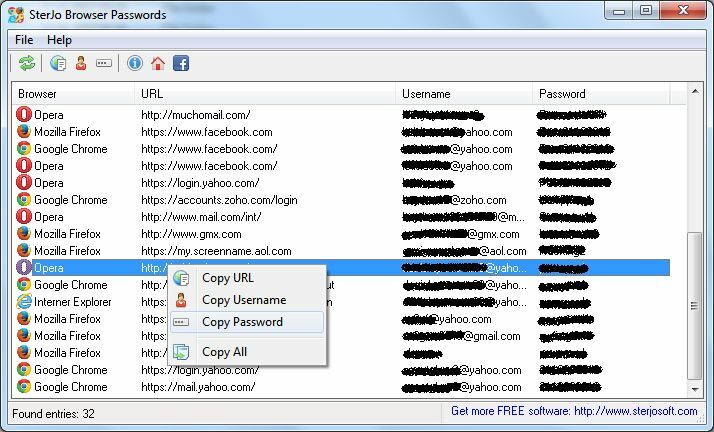 SterJo Browser Passwords recovers passwords stored in major browsers like Chrome and Firefox. Recovered data includes the URL (website address), the forgotten username with password, and the browser used to store those details. You can export all the recovered passwords to a text file. This software is provided free by Sterjo Software, so if you use it (or other Sterjo tools), consider dropping a donation!